I love these tiny birds! They flash through the sky, sometimes landing on the pontoon in the baths. 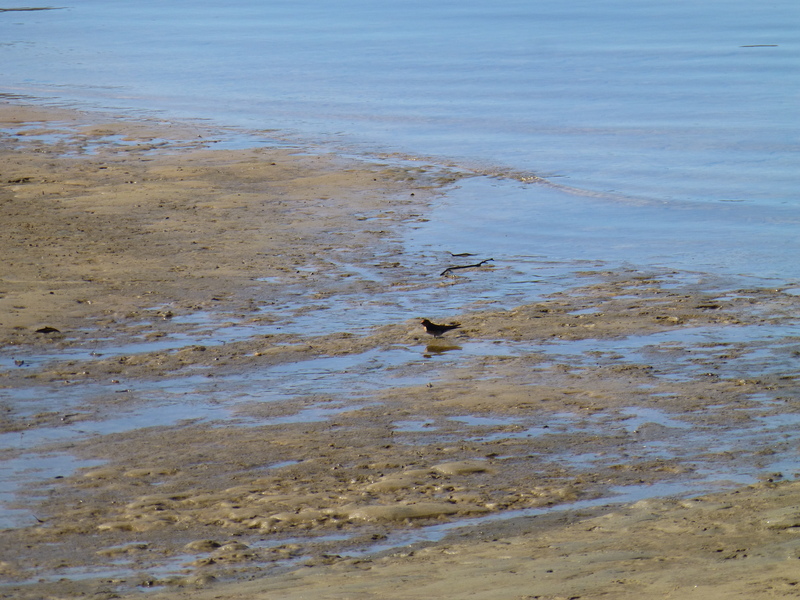 Here’s a photo of one gathering mud to make a nest. Australia’s parrots are very appealing. 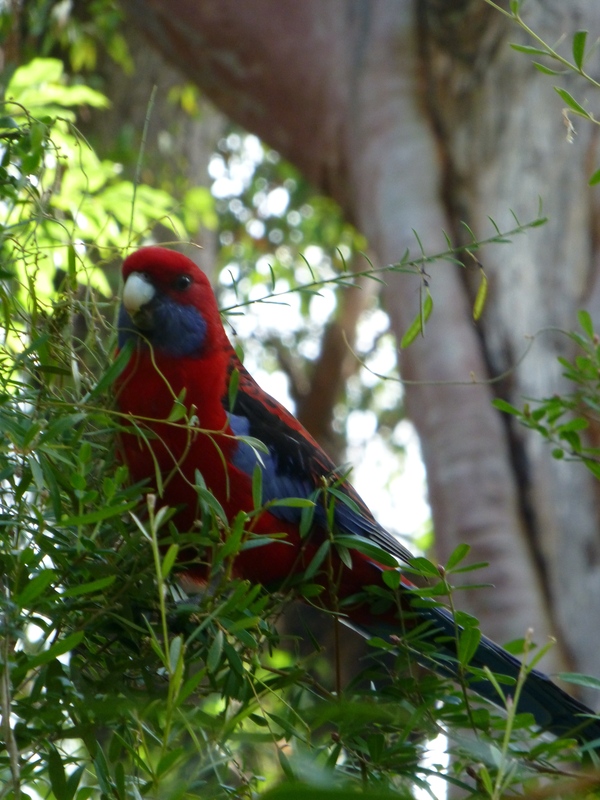 In our local park and surrounding areas, it isn’t uncommon to see these beautiful Crimson Rosellas. As you can see, they are richly coloured. Well, I was stumped for a title. 🙂 I don’t mean to imply that garbage bins symbolize today’s world. 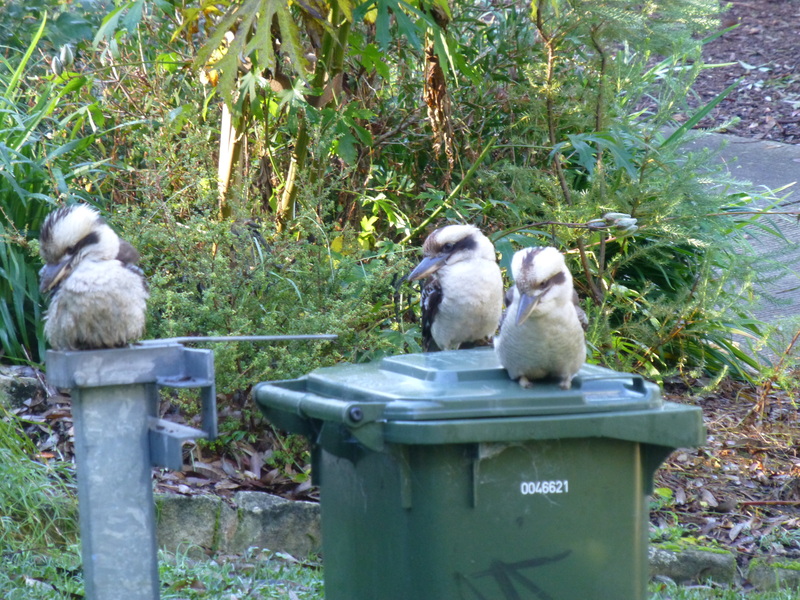 However, they are a part of modern life, and these Kookaburras are making use of them. I hope that you will enjoy this little group. 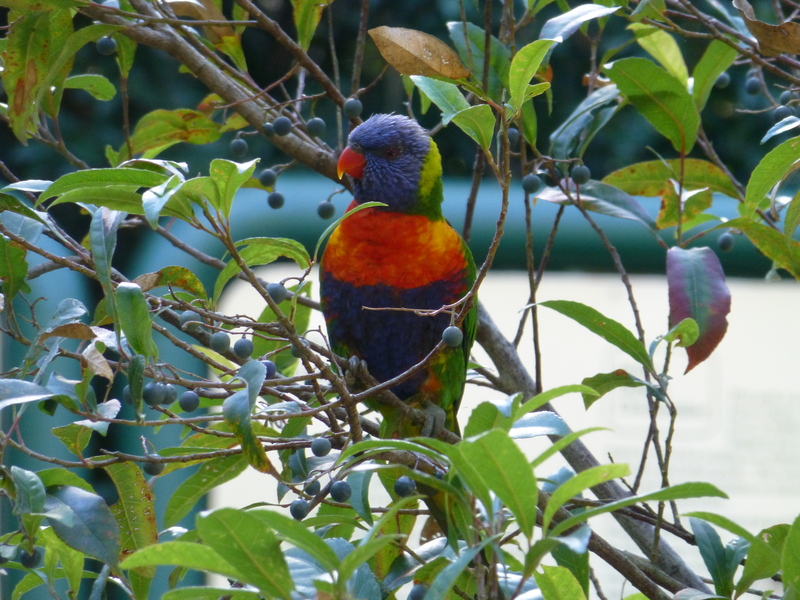 The colours of the Rainbow Lorikeets are as spectacular as their name suggests. They catch my eye, whether in flight or at rest. Sometimes, a flock gathers around a picnic table and entices people to throw some crumbs in their direction. 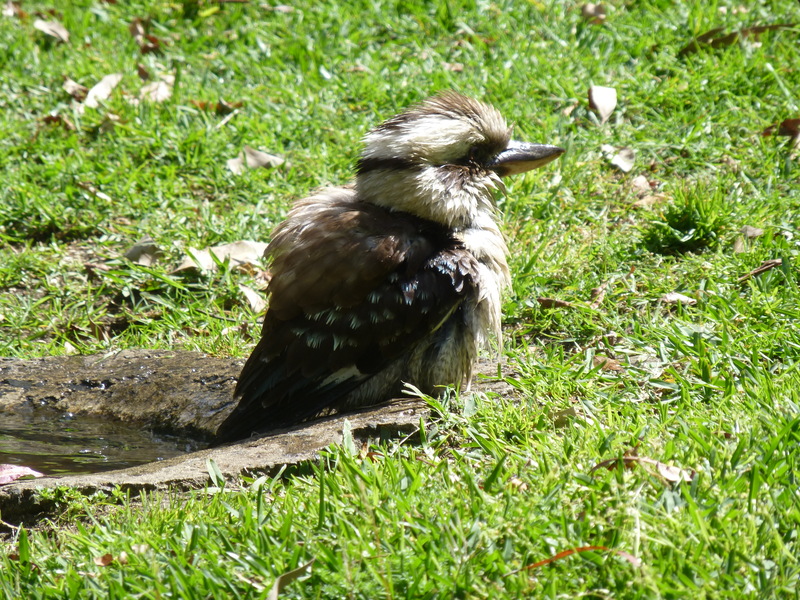 Here is photo taken in the park near where Ron and I live. 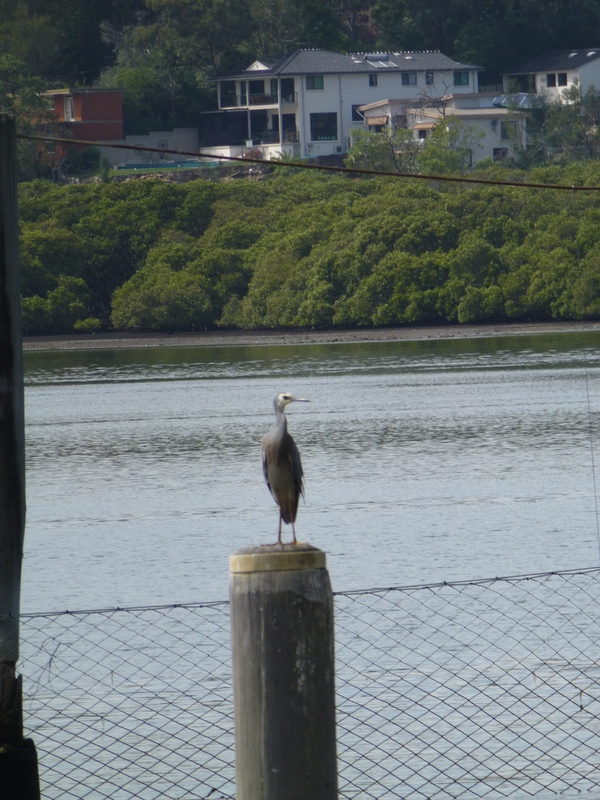 White-faced Herons are a pretty common sight in the local swimming baths, especially at low tide. Not so common, though, is to see one perched atop a pole. I like to photograph the unusual. 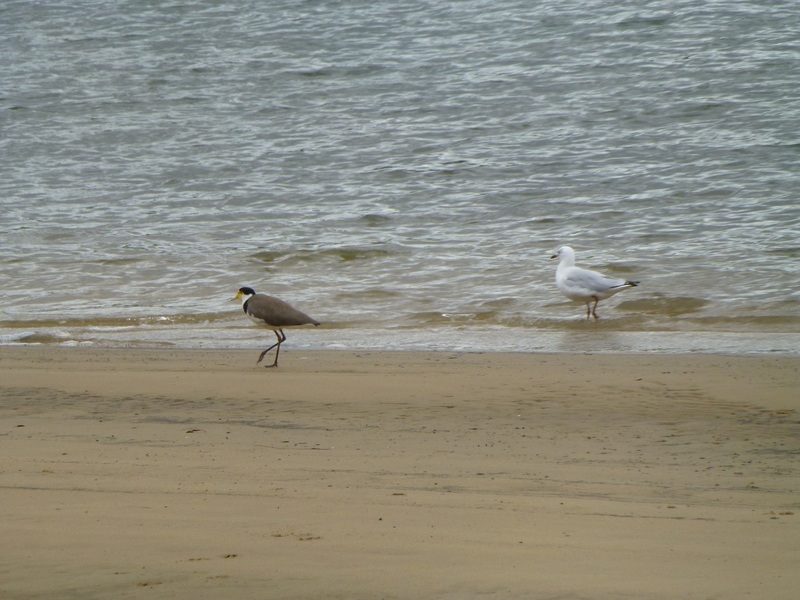 and it’s not every day that one sees a Masked Lapwing and a Silver Gull quite near each other on the beach by the river. Silver Gulls are quite commonly found here, but the Masked Lapwings are a fairly rare sight. I guess that they have found the sands to be to their liking. Enjoy this scene, on a river in Sydney, N.S.W., Australia.